We had a great time at the first “Kid’s Day Off and Ultimate Birthday Party” we attended on Saturday, August 15. 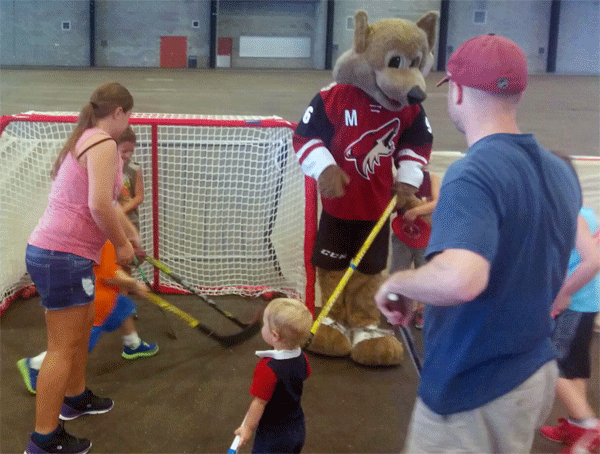 Throughout the day, we played some hockey with over 100 kids, most of whom had never touched a hockey stick before. A bunch of kids tried on the goalie gear and stopped some shots, we had some really little kids that were having a great time trying out their hockey skills. Lots more and everything was FREE! It was 115 degrees outside, but the WestWorld North Hall was breezy cool and pleasant inside. 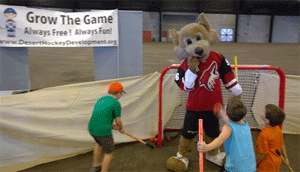 The Arizona Coyotes were kind enough to send Howler and, from the Paw Patrol, Allison and Ashley. They were all, as usual, a big hit and a great addition to the event. Special thanks to faithful DHD volunteers Gina and Ryleigh for helping us out all day, you ladies are the best! 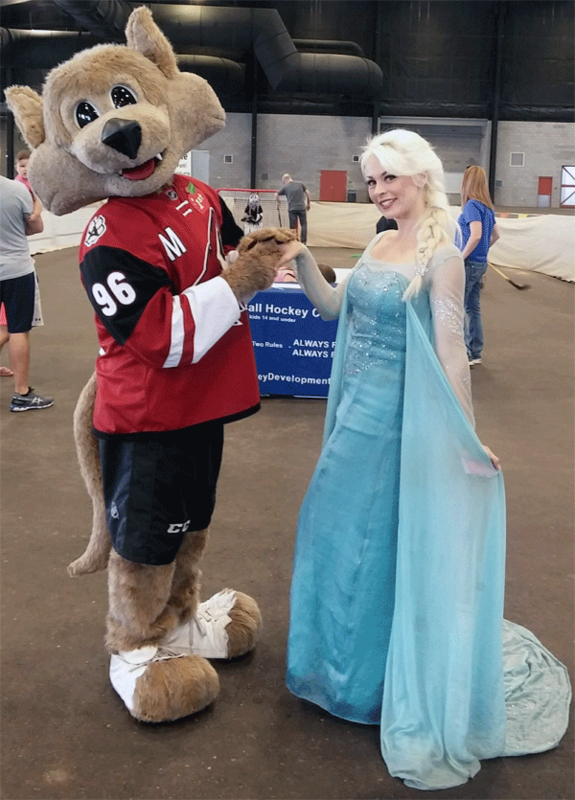 We hope to see you at our next event, Ice skating fun (and fundraiser) at AZ Ice Peoria next Saturday, August 22 from 5 pm to 7 pm. We’d appreciate a $5 donation (including skate rental) for two hours of ice skating. Skating lessons from real, professional, skating instructors will be available at the same time. We’re grateful to to AZ Ice Peoria for offering us the opportunity to get to know more people, get some ice skating in, and maybe keep the lights on at DHD for future hockey endeavors.